Few English boaters appreciate the scale of Ireland’s navigable rivers and lakes. The mighty Shannon penetrates far into this watery country from Limerick almost to the Northern Irish border. From here a canal leads into glorious Lough Erne and its enchanting puzzle of islands. To get here with your own boat requires plenty of time and planning. A week’s charter is a much simpler, less expensive way of escaping to Ireland’s wonderful waterways and their breath-taking landscapes. Manor House Marine is an attractive hire base at Killadeas, tucked behind an island on the east side of Lower Lough Erne. 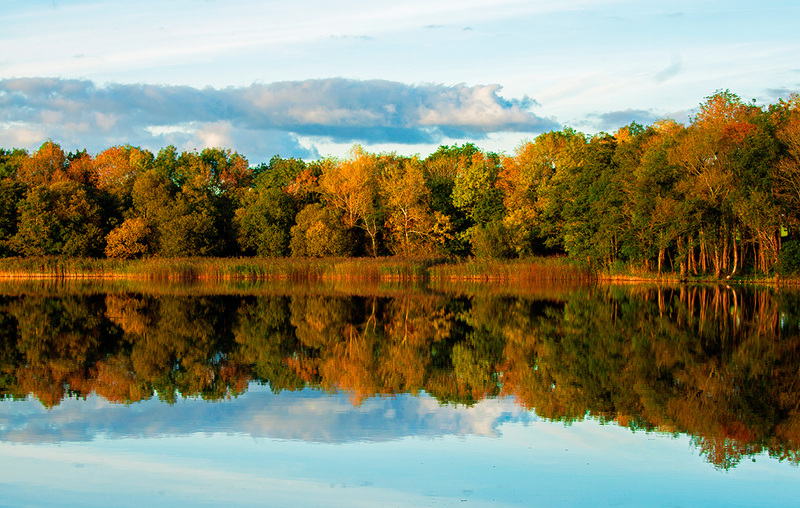 The nearby Manor House Hotel stands in spacious grounds, a pampering treat after your cruise. The hire fleet offers plenty of choice, but I’d go for the 40ft Noble Emperor (pictured above), a comfy Haines 400 with two ensuite double cabins. She is helmed from a canopy bridge deck, powered by a Nanni 115hp shaftdrive diesel and has bow and stern thrusters. Killadeas is well placed for cruising both Lower and Upper Lough Erne (pictured below), which are linked by a winding river. You normally join the boat on a Saturday afternoon and Sunday is good for touring the nearby islands, all with intriguing names. InishMacSaint has an ancient church and Devenish a commanding round tower. Lusty Beg has a handy restaurant and you make a proper passage to get there. The lower lough is 26 miles long with plenty of open water, where fresh winds raise a respectable chop. 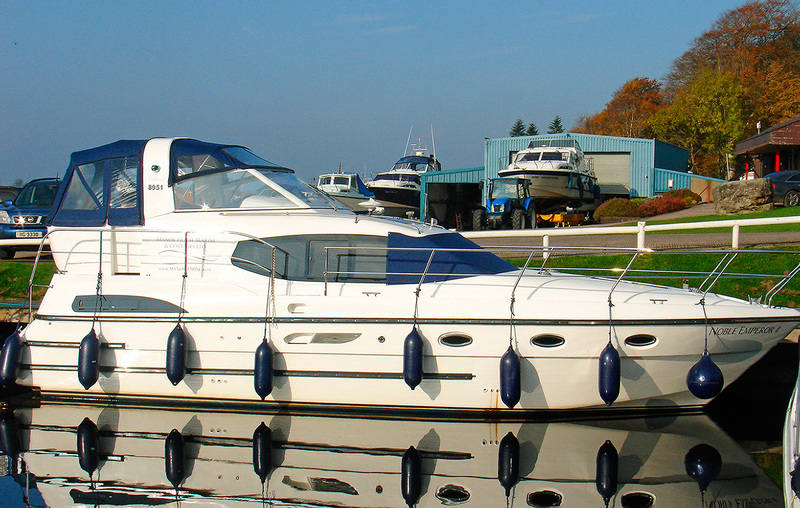 For a relaxing week, the practical limits of this cruising area are Belleek in the north-west and Belturbet at the south end of Upper Lough Erne. Belleek has a notable pottery and is interesting because the Atlantic is tantalisingly close. With the original short canal cut restored you’d be able to break out into Donegal Bay! Belturbet is a very Irish market town worth visiting for food at the Seven Horseshoes. Between the two, Enniskillen is a fascinating stop, a historic stronghold built on an island hill, guarding a narrow channel. The upper lough has wooded shores and islands galore. Inishcorkish is home to herds of roaming pigs who end up as succulent Fermanagh Black Bacon – the biz in a sizzling Full Irish. 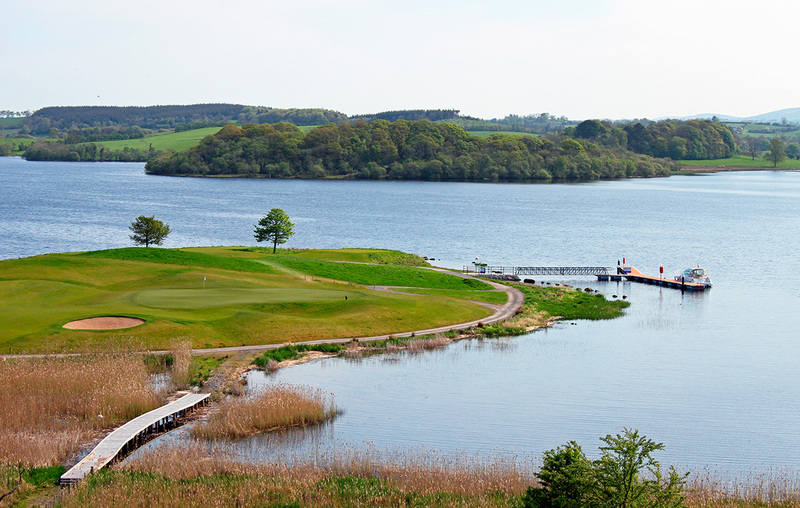 Heading back to base, nudge into the south-east corner of the lower lough and moor at a jetty by hole seven of Lough Erne Golf Resort (pictured above). Phone 028 6632 3230 and the hotel will send a buggy to collect you. Noel McMeel has been chef here since its Catalina Restaurant opened and the cooking is superlative. Guide prices: Noble Emperor costs from £1,635 per week low season to £2,195 high season excluding fuel. Getting there: Killadeas is 210 miles (4hrs) drive from Rosslare and 125 miles (2hrs) from Dun Laoghaire ferry terminals. Killadeas is 90-95 miles from Belfast International (EasyJet) or Belfast City (Flybe, Aer Lingus). Transfers available.